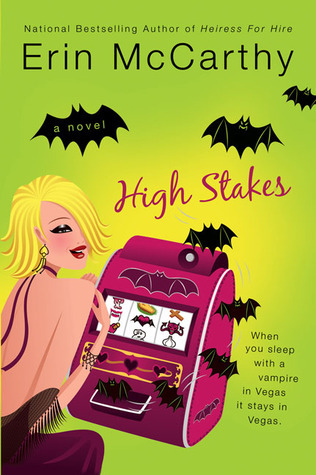 Erin McCarthy's Vegas Vampire series opener, High Stakes, is one of those light, funny vamp romances that can be gulped down in large bites and leave you feeling a little happier for it. It's been described as Vamp Chick-Lit and that just about sums it up. I strongly believe that reaction to this book in particular, and probably the series in general, will entirely depend on what you're looking for when you pick it up. Personally, I just spent several weeks reading back-to-back books that ranged from gritty and dark to emotionally significant and I just wanted to rest my brain, kick back with a book that made me laugh and know from page one that the two lead characters are going to get their HEA. 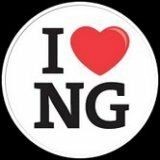 No draining angst or cruel deceptions, no monstrous forces of every nature threatening world-ending horror. I was actually pleasantly surprised that this series opener had a wee bit more depth than I was anticipating, with the plot threads of the presidential party platform, the banished frenchman, and the deadly political opponent. Was it high drama? No. Was it enough to sink my teeth in and interest me enough to keep reading the series? Yes. If I wanted to be critical, I suppose I could point to Alexis' sister, Brittany, who came off a little too...borderline-zealot with her ditzy crusade to redeem the undead. That was not to my personal tastes. Scenes with her were actually a little painful. I could also possibly criticize the rather abrupt wrap up, almost like McCarthy got to a certain point and just...forced the HEA to fit within a certain page count. Yeah, okay, those two things kept the book from getting five stars, but High Stakes is still a delicious bite of Brain Candy and I liked the overall experience of reading it. It was exactly what I was looking for.